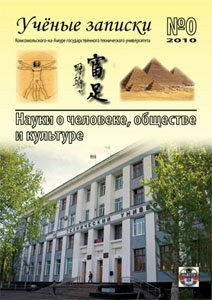 • Subscription to the printed version of the journal is available at any Russian Post's office, the journal's reference No. in the Russian State Registry of Periodical Press (Rospechat) — 66090. • The journal is included in the registry of leading peer-reviewed periodical publications of the State Commission for Academic Degrees and titles of the Russian Federation (VAK RF): 05.02.07 - Technology and equipment for mechanical and physical-technical processing; 05.13.06 - Automation and management of technological processes and production (by branches) (technical sciences); 05.13.18 - Mathematical modeling, numerical methods and program complexes (technical sciences); 24.00.01 - Theory and history of culture (art history); 24.00.01 - Theory and history of culture (cultural studies); 24.00.01 - Theory and history of culture (philosophical sciences). The publication appears in printed and electronic form as two series: "Engineering and Natural Sciences", and "Humanities, Social and Cultural Sciences". Each series is issued quarterly. The engineering&technical series includes the following sections: Aviation, Rocket&Space Technology; Power Engineering; Management, Information Technology and Computers; Mathematics and Mechanics; Mechanical Engineering; Metallurgy and Materials Technology; Fleet and Shipbuilding; Earth Sciences; Construction and Architecture. The humanities and social/cultural series includes the following sections: Philosophy, Sociology and Cultural Studies; Philology and Arts Studies; Psychology and Pedagogy; Political Science and Law; History; Economics. All requirements for submission are based on guidelines provided by modern publishers, designers and by the State Commission for Academic Degrees and Titles. The journal is available on a subscription basis. Each edition comes out during the first week of a quarter. Our authors' opinions may be different from that of the editorial board. Authors bear exclusive responsibility for the content of their papers. Paper submission guidelines can be found on the web-site of the KNASTU Journal. Papers submitted in violation of the guidelines are not accepted. All papers submitted for publication are peer-reviewed. The price of 1 square cm of advertising space is 15 Russian roubles. The journal both accepts advertisers' own ad materials and offers services of its computer design department where your information will be used to produce customized ads. The retail price of the journal is free. 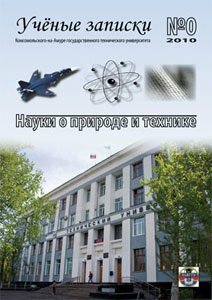 The publication is indexed in the Russian National Citation Index for Scientific Materials (RINZ); it is included in Bibliographic database Ulrich and database Directory of Open Access Journals DOAJ (Since May 20, 2015 ); all materials of the journal can be found on http://doaj.org; on http://elibrary.ru and http://www.knastu.ru. © Copyright KNASTU Journal. All rights reserved. Any reproduction of materials from our journal, or their parts, is permissible only if accompanied by the name of the author and the publisher's imprint.